What is Sustainable Development and What Can Be Done to Promote Positive Change that Lasts for Generations? What is sustainable development? Can real change in water, sanitation and hygiene or in any community development endeavor take place that will benefit generations far into the future? Throughout the developing world, if you look closely, you often see the remains of the well-intentioned, good-hearted efforts of people and groups of people who have traveled great distances, at great sacrifice to themselves and their families, to reach out to those in need. They came to bring food, water, clothing, shelter, etc. But, months or years later, what they built or what they brought is gone or has fallen into disrepair and disuse. The remnants of their hard work often become nonfunctional and unused for a variety of reasons. This may lead us to question the purpose of it all. We may ask, "What is sustainable development?" and why does all the work and results not last more than a couple years? If we are truly called to be world-changers; if we are devoting our lives to really making a difference, then we must ask the question, “What is sustainable development?” and how do we perform our work in such a way that its benefits will last into the future. Difficulties in creating lasting change are many and varied and difficult to overcome. They exist within the very systems through which we try to help others. They exist within cultures and customs, attitudes and understanding, assets and abilities of both helpers and recipients. 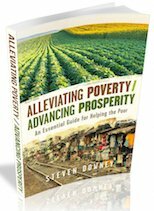 Is it possible that our current attempts to help are actually stifling growth or possibly fostering a culture of dependency in developing nations? What is sustainable development? Change that does not last and does not positively impact generations to come is something else. It cannot be considered sustainable development. It might be relief. Many organizations and individuals are involved in providing relief for people in desperate need of food, water, clothing, and shelter. People survive the most devastating situations, like storms, earthquakes, famine, and warfare, and they often need immediate assistance. Their very survival may be due to the lifesaving efforts of relief organizations. We applaud every positive effort that helps those in dire need right now to get the help they need right now. But relief efforts should be immediate. 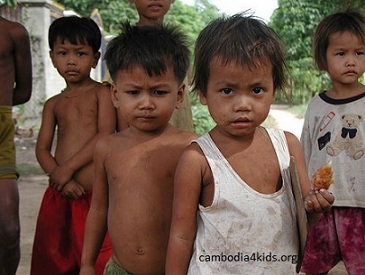 They are rare, and short-term, and do not answer the question of "what is sustainable development". Because relief assistance is immediate and short term, it cannot be considered sustainable development nor answer the question "what is sustainable development". It might be helpful, and it may meet local needs. Often, some kind of help is better than no help at all. Efforts to help those in need and ameliorate the impact of poverty, whether it is temporary or long-standing poverty, may provide people with much of what they need in the short term. Take a community lunch program, for instance. Children who may otherwise be going without a healthy lunch every day may benefit greatly by having a lunch program at their local church, where they can fill their bellies and find friendship and fun in an environment that is supportive and caring. Such programs often operate on a shoestring and persist due to the dedication and sacrifice of amazing individuals who have a real heart for people and a heart for reaching their community. But if such a program promotes a culture of dependency and does not empower individuals to find their own solutions within their own communities, then such programs do not meet the definition of what is sustainable development. It may save lives. It is hard to say what kind of impact our short-term efforts may have on individuals we serve. Do we really comprehend what a great blessing a little help can provide? Great things have been accomplished and lives have been saved due to the willingness of many individuals all over the world to sacrifice time, money, security, and comfort. They travel all over the globe just to give some clothes to a child, or to help build a house, or to help till a field or to assist in fulfilling a host of community needs. How many lives have been touched in a positive way? I think, many. We will never really know until we are in heaven and are blessed to meet all those our work has touched. But what is sustainable development if our efforts are fleeting and leave behind no sense of empowerment or ownership? These efforts to alleviate poverty may help in the short term and may benefit others and save lives, so that’s all good. But we should not deceive ourselves into thinking that our efforts are changing things for the long term. What is sustainable development? Real change is lasting change. All of the above examples depend upon the input of outside energy, money, supplies, and effort, in order that the assistance that is benefitting the community continues to benefit them. No change on the part of the recipients is required. The recipients take no ownership, and they receive no empowerment. Such well-intentioned and kind-hearted efforts may, in fact, inadvertently create a culture of dependency and do harm to both the recipients of the help, as well as the givers of help. This harm comes through broadening the perceived gap between donors and recipients. This is a fundamental flaw in the donor/recipient model of community development. When people in need depend upon the donations, manpower, supplies, or imports from someone outside their community, there comes with that dependency a perception that “they have what we need”, and “we need them to help us” and “we lack something and they have an abundance from which they can draw upon to help us”. “Lets get them to come and help us”. Dependency develops and independence becomes impossible. Change comes when the culture and mindset of dependency and lack shifts to a mindset of independence and abundance. Change comes with empowerment, self-reliance and ownership; when opportunities and answers come from within the community and when they are perceived, designed and possessed by the people who are going to live with them. A change of mindset becomes a change in behaviors. This mindset and the resultant behaviors may be deeply, culturally, and individually entrenched. But, change comes when mindset and behaviors can be perceived as the very things that have held back the process of growth. Change comes when people “own” their future and, through past successes and their present efforts and enterprises, can conceive of a better future for their children. This is the pathway to change. Mindsets change through knowledge. Attitudes change with new understanding, and then practices change. We can see this process of Knowledge, Attitude, and Practice in our own attempts to bring about lasting change in our own culture. Remember the times when nobody wore seat belts? I remember riding in my parents’ car, with all of my brothers and my sister, all riding around unbuckled. Remember what an effort it took by law enforcement agencies and public service announcements to raise awareness of the need for safety belts? Remember the cars that had seat belts that even moved automatically into place when you started the car? All the technology in the world, all the reminders on billboards, radio, and TV, and it still took years to convince a large number of people that seatbelts were a safety necessity. And still, every holiday, we have to be reminded to buckle up. We know the risk. We know that we are safer with them than we are without them, yet we still have to be reminded to wear them. Or, how about flossing? How many of us really floss the way our dentist tells us to every time we go to see them? We know the risk. We have the correct attitude; that I am going to do everything I can to floss every day, because I know I will be better off and the visits to the dentist will be way less painful, and I will keep all of my teeth and not risk losing them in my old age. But, how many of us really do it? Ask any dentist, and they will tell you. We got the message about brushing every day, but, when it comes to flossing, we still have not sufficiently altered our behavior to reap the full benefits of this dental hygiene practice. These are everyday examples of how powerful the barriers to change can be. We can have all the knowledge, information, and technology at our disposal. We may even totally understand the importance of a certain behavior, or making certain choices. But, for some reason, we have a difficult time putting them into practice. What is sustainable development? A couple more illustrations. Barriers to creating lasting change can be found in the attitudes, understanding, assets and abilities of both recipients and helpers. For example, imagine that a woman in Africa realizes that her husband has been exposed to AIDS. She knows that if he uses a condom, she will be protected. Unfortunately, that also means that she would not be able to conceive children. In her culture, her whole identity and value come from being a mother. Rather than running the risk of not having children, she takes the risk of not telling her husband about using condoms, and risks her life instead. Or, imagine that a village realizes that their health was better when their well was working. The pump is broken and there is a man who has some knowledge of pump repair, but no one in the village owns the specialized tools that are needed. The well remains unusable for many years. Another example. A community development organization worked with the leaders and members of a Muslim community to build a latrine for the village. The community leaders approved the latrine, and community members helped to build the latrine. 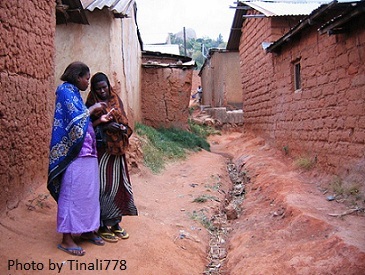 Two years after it was built, members of the development organization returned to the village to find the latrine exactly as it was when they left. It was perfectly new and clean. It had not been used at all. When they spoke to the community members, they said that the latrine faced east toward Mecca, and they could never conceive of defecating in a latrine that faced east toward Mecca. At the time the latrine was built, community members would not insult the visiting guests by pointing out to them the flaw in their design. It was a cultural custom and a matter of courtesy and respect to not argue or disagree with people who had come from so far away, who were obviously well educated and who were willing to help the community. These examples illustrate that there are many barriers to what is sustainable development; and the solutions are as plentiful as there are cultures in the world. Every situation, every group of people, every nation, and every community, will offer its own set of challenges, and each must be approached on an individual basis with full knowledge and understanding of the cultural environment, the religious environment, the customs and beliefs of that community. Return to "Change That Lasts" from "What is Sustainable Development?" Return "Home" from "What is Sustainable Development?"